China Cruise Shipping 13 signed a major new sponsor last week as the Shenzhen Municipal Government confirmed it would co-sponsor China's leading cruise event, which will take place in Shenzhen, Nov. 1-3, 2018. The Shenzhen Municipal Government joins other major sponsors in CCTA (China Communications and Transportation Association) and China Merchants Group in headlining the China Cruise and Yacht Industry Association's (CCYIA) event. "As one of the most important cruise port cities in south China, Shenzhen has superior natural weather conditions, high-quality and rich tourism resources, as well as a huge cruise consumer group in the urban and surrounding areas," the CCYIA said, in a prepared statement. 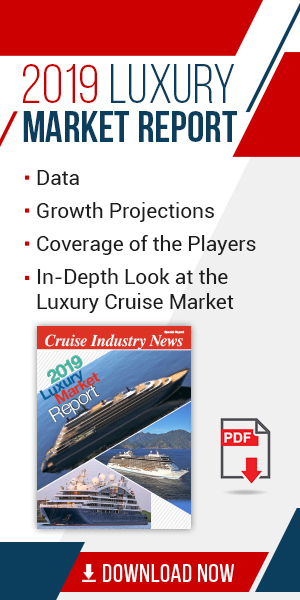 "As an emerging cruise city, Shenzhen has made remarkable achievements since Shekou cruise center was officially opened on October 31, 2016, and it has gradually occupied an important position in the cruise community in South China represented by Hong Kong, Guangzhou, Xiamen and Sanya." Now in its 13th year, China Cruise Shipping has become the key event for the China and Asian cruise market, as well as a major platform for domestic and international companies to come together to discuss the future of the cruise industry in China. The conference is paired with a growing trade show, featuring both international and Chinese suppliers.